J 0221 Swiss Balance Wheel Escapement Spring drive polished movement. 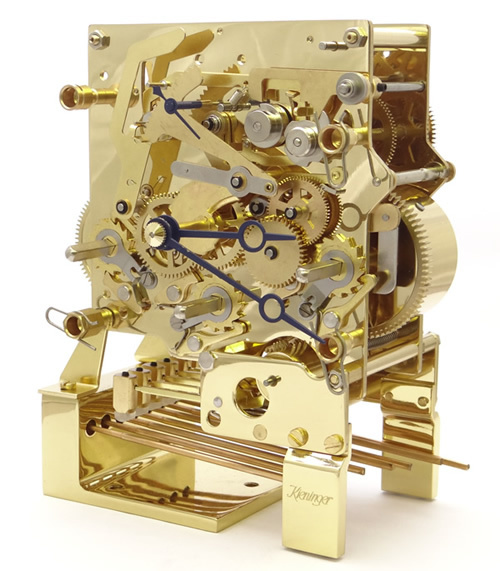 Kieninger polished 4/4 key wind movement with Swiss jewelled escapement. This movement has plays three melodies, Westminster, St. Michael & Whittington, on 8-rod gong. You can select a melody on a rear mounted lever. 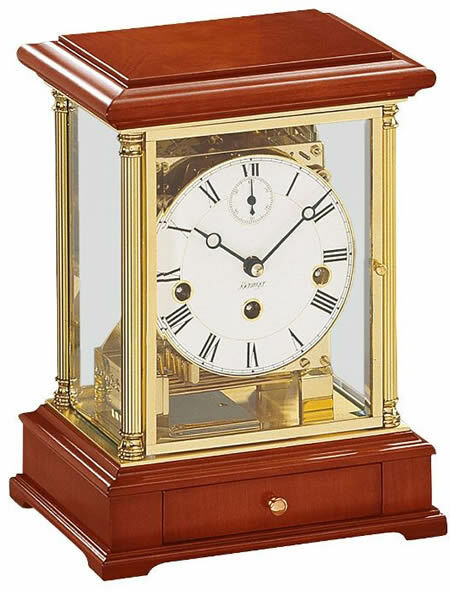 The movement has permanent night time Chimes Silent period between 10.00 PM and 7.15 AM. Klicken Sie hier für die Galerie der Kieninger Uhren Seite.